In a step forward towards expanding its footprint as a regional player in its field, ELAN Group recently signed an agreement with TAMANI Global Development & Investment, a diversified Omani enterprise that has multiple world-class commercial, real estate, retail warehouse, health care and hospitality development projects in its portfolio. Under this partnership, ELAN Group will expand its cutting-edge Digital Out-of-Home networks and launch two Novo Cinemas megaplexes at the upcoming signature developments of TAMANI Global Development & Investment, Mall of Muscat and Sohar China Downtown Malls. With a notably underserved theatres industry in Oman, the addition of the two new cinema facilities will boost the average number of cinema seats per capita, offering more choices for entertainment, and contributing to the country’s economic diversification. The joint value of investments between Qatar and Oman has reached over QAR5.5 billion, according to officials of the ‘Qatari-Omani joint entrepreneurs meeting,’ which took place in April 2018. Earlier this year, both countries signed a Memorandum of Understanding, in order to drive bilateral trade and investment relations between them. Moreover, Qatar has hosted in the past few months more than a roadshow and business networking meet for Omani businesses, as a step towards identifying investment opportunities in the Sultanate. To shed more light on the increasing bilateral trade and investment relations between the two countries, trade exchange has doubled since the launch of the two direct routes between Doha Port, and Suhar and Salalah Ports in Oman. 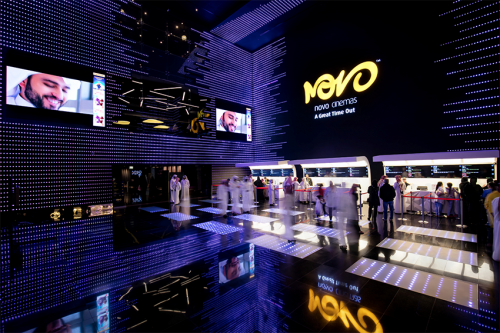 Novo Cinemas are known for being one of the top Cinema Theatre Chains in the Middle East, and for providing the Most Innovative Entertainment Experience in the GCC. Additionally, the new Digital Out-of-Home networks from ELAN Group remain the most advanced in the entire region and launching these two new DOOH networks in Mall of Muscat and Sohar China Downtown Malls will create an unrivaled advertising experience for visitors and a key opportunity for brands to reach millions of visitors to these two commercial complexes. 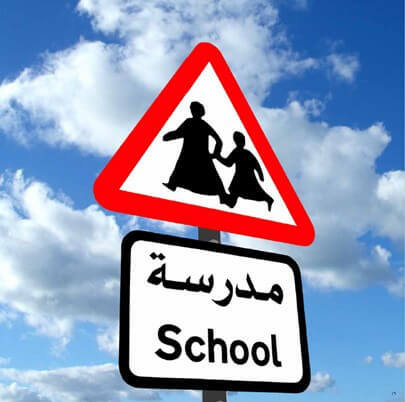 This will directly contribute to the development of the Digital Out-of-Home advertising sector in the Sultanate of Oman. Mall of Muscat provides visitors with a number of unique attractions and entertainment facilities, such as Oman Aquarium – the largest aquarium in the Middle East and the first of its kind in Oman, the first to open Snow Park in Oman, a world-class Go-Karting circuit, a renowned family entertainment center (Faby Land), a Bowling Center and world-class brands experience. Meanwhile the Chinese themed, Sohar China Downtown Mall, offers a unique shopping experience of Chinese products of superior quality, authentic Chinese restaurants and the largest entertainment park in the Batinah region (Funtazmo) at the northern part of Oman. Both projects are expected to contribute to the commercial & tourism development in the Sultanate of Oman. ELAN Group is a dynamic and innovative company delivering world-class experiences in media, entertainment, events and city beautification. Established in 2004 with the ambition to bring international advertising concepts to Qatar, ELAN Group expanded over the years to become a fully integrated company operating in media, urban beautification, entertainment, events management, outdoor advertising, signage manufacturing, among other areas.